Day: March 11, 2019 - Legend Fence Corp.
Building a fence for your own back yard might not seem like it’s going to be too much trouble when you begin planning, but you might find your opinion changes once the job gets underway. The main reason you’re probably considering building your own fence is to save money, but is the amount of effort you’ll have to put in really worth the savings? That said, there’s really nothing wrong with calling in a professional fence installation expert. Here at Legend Fence Corp, we think people should give it a try if they want, but consider the following points first. What does it take to build a fence? 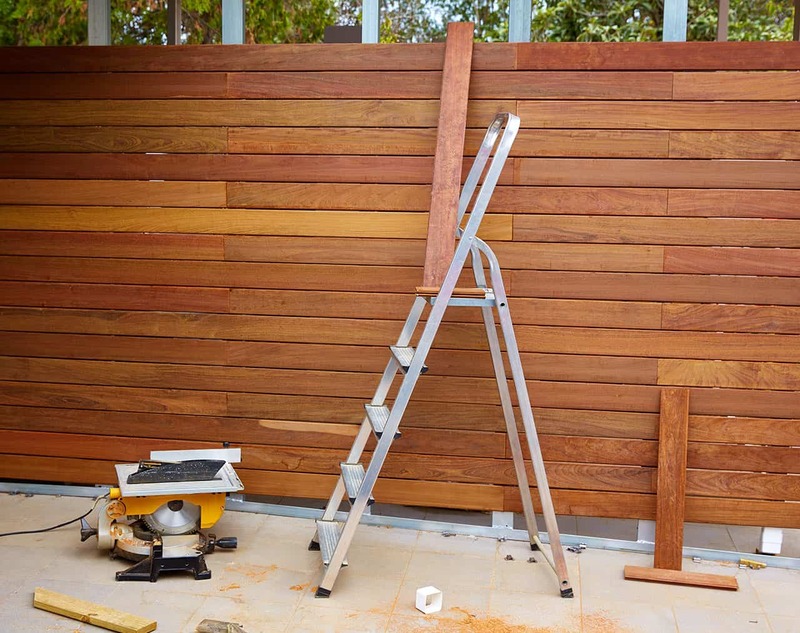 When it comes to building your own fence, it will require you to have several different skills, including carpentry, and you’ll also need a reasonable level of math to work out areas and coverage. Many people who start out on a DIY project also underestimate the amount of time it takes to complete the job, including any possible delays that might also push the budget up. The most important thing you’ll need to consider is the amount of labor involved in the job. And take it from us, installing a fence requires much more labor than you’d think. First, there’s cutting and working all of the individual pieces (once you’ve worked out how big the fence needs to be of course), and then there’s the digging and installation, which is arguably the longest part. Finally, you need to paint or treat the fence, and this can take longer than expected. Of course, if you have plenty of free time, and some friends at your disposal, this won’t be too much of an issue, but many people underestimate how much work it actually takes to build a fence. Sure, it does mean you’ll save some money, but offset this against what you could be using the same time for in other projects around the home. Why might you want a DIY fence? The main reason people might want to build a fence themselves is to give their space a personal touch. It can be very satisfying to look out over your yard knowing that you built the fence that surrounds it yourself, from scratch. It also means you can build the fence exactly how you want to, but that said, this is something that professional fence installation experts can do for you too. Also, some people do enjoy the challenge of a DIY project, regardless of whether it’ll save them money. But these people tend to already have a reasonably good skill set when it comes to projects, and so probably won’t find it all that hard. If you like the idea of getting down and dirty, and look forward to the satisfaction you’ll get from completing the project, then building your own fence is probably for you. The other main reason is that people think it can be a way of saving money. After all, you don’t have to pay for labor right? It’ll simply be a case of buying the materials, and equipment if needed, and then getting stuck in. However, savings aren’t always as significant as you’d expect, more than anything because professionals tend to have agreements with suppliers to get their materials at a much lower price. This is then offset against the price charged to the customer, meaning you might not save as much as you think. Here at Legend Fence Corp, we’re all for people getting stuck into their own DIY projects, but we also know that sometimes it’s just easier to employ a professional to do the job. It might cost slightly more money, but because we’re experts in our field, we can deal with any problems quickly and easily as soon as they arise. For example, when installing your fence, you might run into unexpected problems, such as ground issues or hidden underground cables. For someone doing a DIY project, this would be quite a significant setback, and would probably require research or a second opinion to overcome. However, we’ve had plenty of experience dealing with these issues, and would move past them quickly. The other benefit of hiring a professional fence installation company is that you know the work will be completed to a high standard. Most companies should have examples of previous jobs that you can look over before hiring them, and it’s usually not difficult to find customer reviews online either. Sure, the idea of building your own fence might be tempting, but if you want something done to the highest standard, it’s probably worth hiring a professional. Then, probably most obviously, there’s the fact that a professional company will already have all the equipment and resources at their disposal to get the job done. This is probably one of the biggest advantages for the customer, because it saves them having to go out and either rent or buy the necessary equipment to get the job done. A fence installation expert can arrive at your house, get the job done, and leave behind nothing more than an amazing looking fence. Finally, you get the benefit of years of experience in the industry. A fence installation company will work with your exact specifications and needs, and consider things such as ground type, purpose, budget, and resources, to come up with a project that both looks nice and suits your needs. If you build a fence yourself, you’re having to rely on what you know, or can teach yourself. With a professional, you can put your trust in their knowledge. Building your own fence might sound like an exciting DIY project, and for some people it will be. However, think carefully if you’re only doing it to save money, and compare this to the time and effort it’ll take. After all, there’s nothing wrong with hiring a professional to do an amazing job. 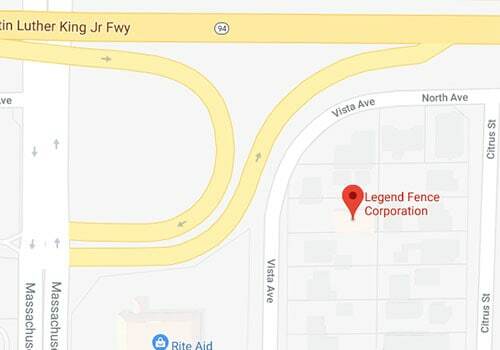 If you like the idea of getting stuck in with building a fence, then go ahead, but if not, Legend Fence Corp is here to help. Contact us today for more information about our fence installation services.